She's far too busy looking after her Get Well Friends! 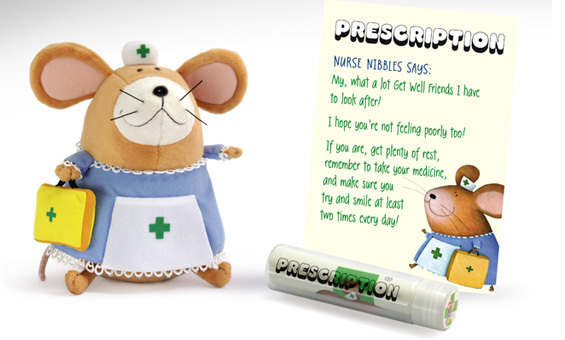 8" poorly soft toy with prescription from Nurse Nibbles! Nurse Nibbles has a nurse's uniform and carries a small medical bag. The bag is fabric and may not be opened. Nurse Nibbles has been safety tested to European standard EN71 and is suitable for children of all ages.